Lock in a great price for Lanta New Coconut Bungalow – rated 8.8 by recent guests! Lanta New Coconut had the perfect combination of good lodging, good food, good bar, good views, and good staff. I’d highly recommend! The beds were the most comfortable of the 4 places we stayed in Thailand. The majority of the staff was very attentive. The location met our needs and I loved that there were 2 massage places to choose from (one on each side of the entrance to the beach). There is a distinction between the shower area and toilet/sink area in the bathroom (a 3/4 wall separating the 2areas) that we didnt find in the other places we stayed in Thailand. I appreciated this because it kept our bathroom more clean and pleasant to use than having water all over. The staff are very friendly and helpful. The room and facilities are clean. Everything! We had an amazing time here, so close to the beach and the food was amazing. Plus the staff were very helpful and friendly. Couldn’t recommend this place more! The bungalow was amazing and good value for money, nice and clean. The staff where friendly, welcoming and the restaurant food was very good and not over priced at all. Pool location was at the front of the beach with lovely views and sunset. I would definitely stop here again. Comfortable bed and staff were very pleasant and helpful. Right on the beach and we had nice evenings having a beer and watching the sunset. We were able to rent a scooter from the hotel directly, super simple! Quiet, friendly staff, good food, right on beach, within walking distance to other restaurants and some shopping, clean. Beach swimming much better at high tide. Amazing sunset views, and plenty of comfortable spots to lounge around. Loved the extra outdoor spaces outside the bungalows. Staff were very helpful booking transportation back to Krabi airport and snorkeling tours. The fire show and live band were fun unexpected extras. Clean bungalow if very small. Nice staff. Great location on beach. Location, staff are welcoming and friendly. Great communication before arrival. Good food and massage. Very good tip for choosing a snorkeling tour (must do). Lanta New Coconut Bungalow This rating is a reflection of how the property compares to the industry standard when it comes to price, facilities and services available. It's based on a self-evaluation by the property. Use this rating to help choose your stay! One of our top picks in Ko Lanta.Located on the lively Lanta Island, New Coconut Bungalow is a 3-minute walk from Klong Khong Beach. It features an outdoor swimming pool, private beach area and standalone bungalows with a balcony. 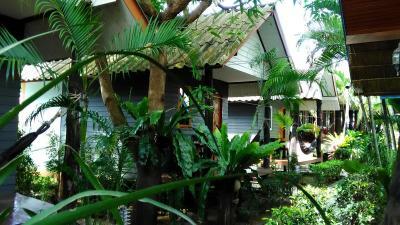 Set amid a tropical landscape, Lanta New Coconut Bungalow offers accommodations with either a fan or air conditioning. Included in all rooms is TV and private bathroom with shower facilities. Guests can enjoy a relaxing body massage or play a game of pool. Travel and car rental arrangements can be made at the tour desk. The restaurant serves a fine selection of local and European dishes. Room service is also available upon request. 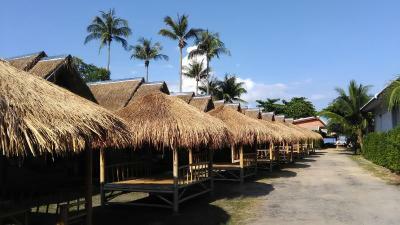 New Coconut Bungalow provides free parking, and is 5.6 mi from Saladan Pier. Sea Gypsy Village is 8.1 mi from the resort. 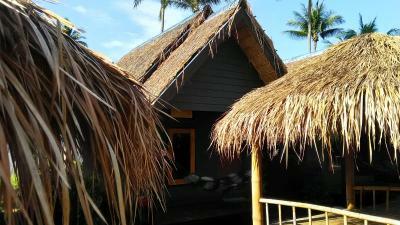 When would you like to stay at Lanta New Coconut Bungalow? 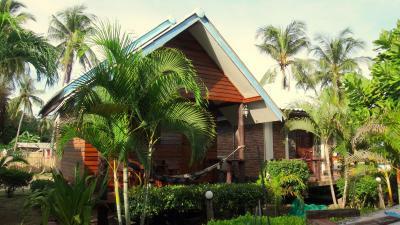 This bungalow features a private balcony with a hammock and local hand-made furnishings. It is fitted with a fan and a private bathroom with hot shower. This bungalow comes with either 1 double bed or 2 single beds. This air-conditioned bungalow features a private balcony with a hammock and local hand-made furnishings. It is fitted with a TV, fridge and a private bathroom with hot shower. This bungalow comes with 1 double bed. 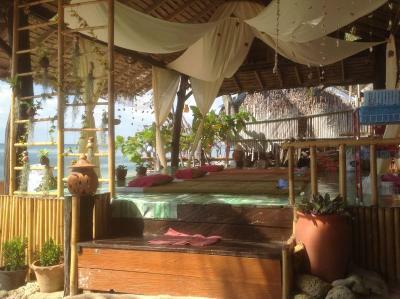 House Rules Lanta New Coconut Bungalow takes special requests – add in the next step! Beds were a little hard, but that is the only problem I had. Everything (apart from hard beds, but that was a very small thing). LOVED this place! The staff were so sweet all of the time, they really couldn't do enough for you, the bungalows so cute!, I even had my own personal cat!, you get AC and a fan which was perfect. the HAMOCKS were amazing! and so so soooooo comfortable! Not to forget the food! The pad thai was to do for. The pancakes at breakfast. Was amazing. I was only booked for 2 nights but it extended as loved it so much. It's right in the middle of the beach, so nothing is to far away. The tours and motor bike rentals were a little pricier on the resort versus across the street at the stand-alone tour booth, but everything is so cheap in this area in general it’s really not a big deal. The bungalow I had might have been a bit small for two people for a long time but you do have an outside area for chilling. Friendly staff with a good level of English. Great location, amazing views over the beach. The bungalow was really cute with a hammock outside and they gave you two bottles of water every day. Beach towel available too. The pool was a nice size and they let me check out late which great. Just one waitress was less than attentive to taking our order for dinner one night. She took our drink order and left us for 15-20 minutes when we said we wanted to order dinner. The shower water pressure was not as great as other places we stayed in Thailand, but I’ve experienced similar in beach resorts in the USA as well. It was sufficient for showering and getting clean. The pool was an awesome location. Watching sunsets on the beach was beautiful. Staff were so friendly. The hammock on the deck of the bungalow was a great touch! Their travel staff sold me a ticket fir the large ferry boat that i paid extra for, but i was put on a noisy, uncomfortable speed boat. I understand now that the big ferry was not running but they didnt tell me when i booked the ticket and paid extra for it. There are many travel agents around the island. Use one that knows what they are doing. Need to sort out the transfers to and from Pier. Staff were excellent, very friendly & efficient. Hotel & rooms very very clean. Location great, food & cocktails very very good & the sunsets were just awesome! Except the food, they put sugar in everything, even eggs, pad Thai etc. Everything was perfect ! You should go there. Fab place to stay! Staff were super friendly from arrival to check out! Bungalow was smaller than expected, but did exactly what we needed! Added bonus of having a fridge in the room and also a lovely canapy area outside. Pool a little on the small side, however its directly on the beach which is beautiful and very quiet. Ate in the restaurant each night of our stay and the food was great - try to pineapple shake! We also used the beachside massage are to the left of the resyaurant - and the ladies there were amazing! Book a massage at sunset - you wont be dissapointed!